Cacio is the Roman word for Pecorino Romano, a local cheese made of sheep's milk. A classic combination: Cacio e Pepe with chianti. 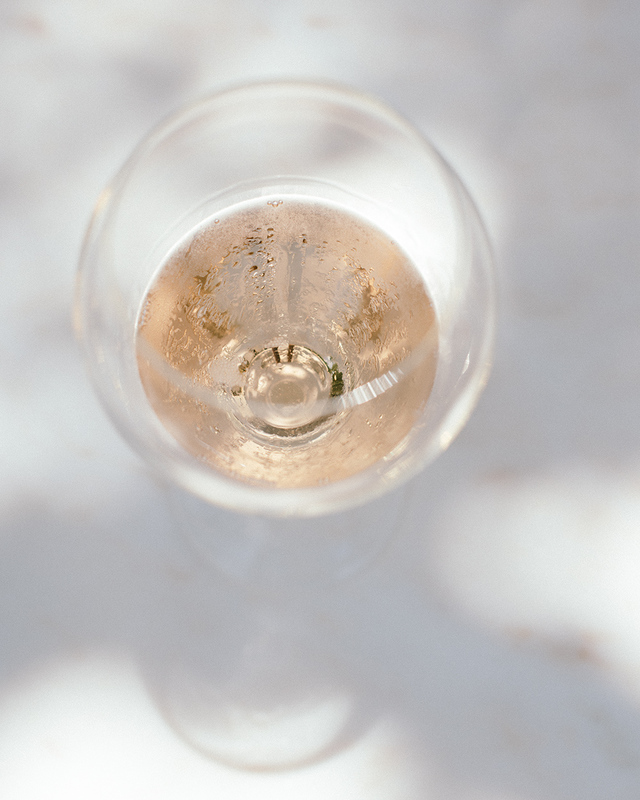 On a hot summer day any fresh wine will do, as long as it is dry, not oaked and has a high minerality. The Roman cuisine is all about seasons. For example in the spring, during the artichoke season, you will find artichokes in every restaurant – if not on the menu, then outside the menu. And when the season is over, you cannot get fresh artichokes anywhere. In the hot month of August, the Romans traditionally eat spicy tomato pastas and anguria, watermelon, that can be bought on the streets. 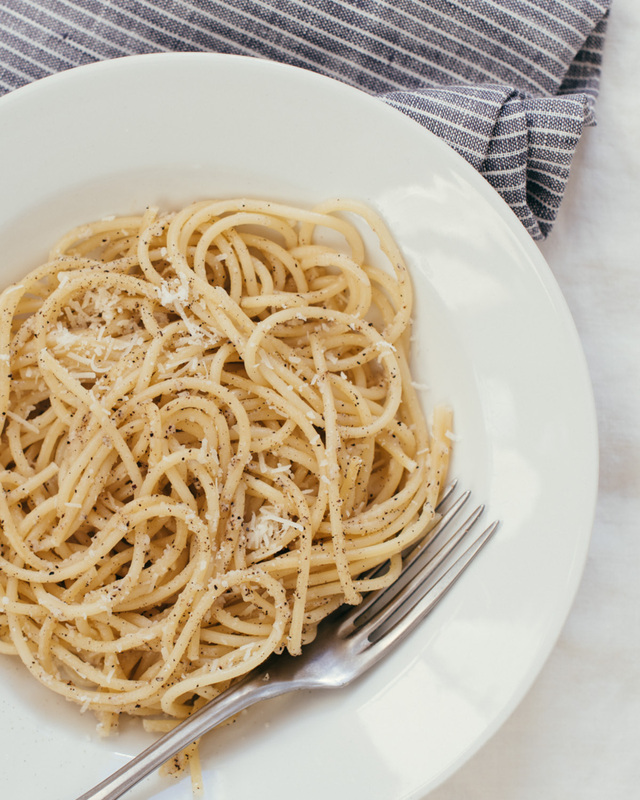 The simplest of pastas, and always in season, is the Roman classic Cacio e Pepe. Bring a large pot of water to a boil, then salt the water heavily. When the salt has dissolved, add the pasta and cook until al dente. While the pasta is cooking, in a large bown or serving dish, combine finely grated Pecorino Romano (around 1 dl per person) and freshly ground black pepper (around half a teaspoon per person) with a small amount of pasta cooking water and mix with a fork or spoon to form a paste. When the pasta is cooked, strain it quickly, but save a little bit of cooking water aside. Pour the pasta over the sauce and blend. Add hot cooking water one spoonful at a time to melt the cheese and get a juicy consistence. Speed is the best tip here. The sauce will get clumpy and the pasta will get sticky, if you let them rest. Serve immediately with additional Pecorino Romano and black pepper on top. For more detailed cooking instructions and useful tips for making pasta, see this recipe posted earlier.